European Restaurants in Rotorua are enjoying a growing reputation. Laid back bistros, romantic French salons, sociable Spanish tapas and good, old fashioned British fare, are easily found in this cosmopolitan city. Rotorua European Restaurants will deliver anything you desire. There are a few delicious eateries around Government Gardens, not far from the lake. A little further west, Huapapa Street has a good Spanish/Latin restaurant. If you're into French, go to Hinemoa Street for a romantic, cafe lunch at the traditional French restaurant there. 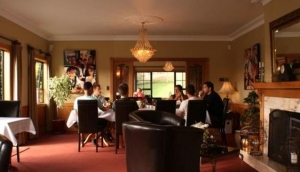 You'll get some classic British grub all along Tutanekai Street, while outside Rotorua, there are a couple of high end European menus up on the northwest edge of Lake Rotorua, along Hamurana Road in Ngongotaha. For something more low key, there's some top quality Irish craic (and food) at the top of Tutanekai Street.